There are certain brands that make you feel like you could instantly transport to the French Riviera, as you sit on the edge of a boat and sip an icy strawberry cocktail. Those brands are the epitome of summer style; effortless, pretty and light. J.Crew does this well year after year, especially as the weather gets warmer. 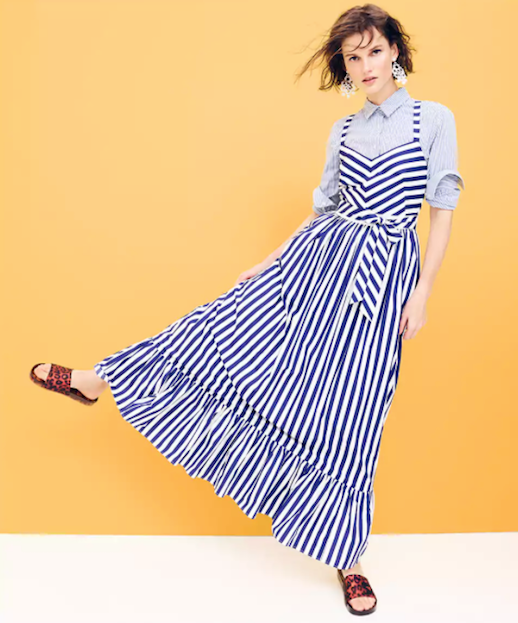 From tie-waist shorts to striped, ruffled maxi dresses, check out the best of J.Crew's new arrivals section.